William Christie, harpsichordist, conductor, musicologist, and teacher, is the inspiration behind one of the most exciting musical adventures of the last thirty years. A pioneer in the rediscovery of Baroque music, he has introduced the repertoire of seventeenth- and eighteenth-century France to a very wide audience. Born in Buffalo, and educated at Harvard and Yale, William Christie has lived in France since 1971. 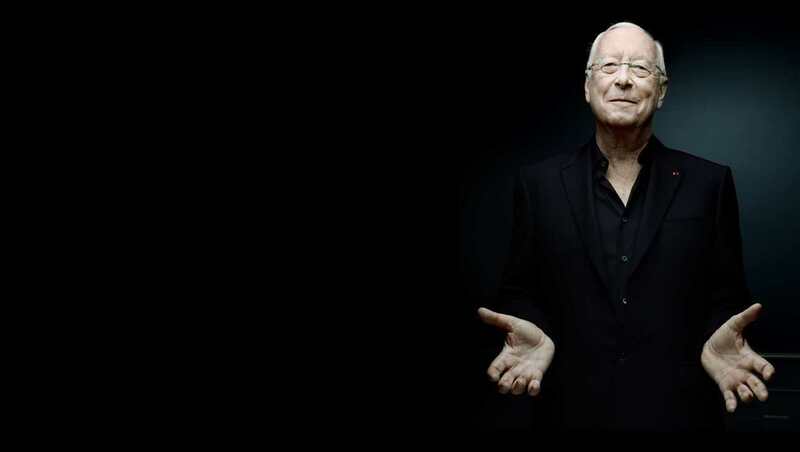 The turning point in his career came in 1979, when he founded Les Arts Florissants. As Director of this vocal and instrumental ensemble, William Christie soon made his mark as a musician and man of the theater, in both the concert hall and the opera house, with new interpretations of largely neglected or forgotten works. Major public recognition came in 1987 with the production of Lully’s Atys at the Opéra Comique in Paris, which then went on to tour internationally to huge success. From Charpentier to Rameau, through Couperin, Mondonville, Campra, or Montéclair, William Christie is the uncontested master of tragédie-lyrique as well as opéra-ballet, and is just as comfortable with the French motet as with music of the court. But his affection for French music does not preclude him from exploring other European repertoires and, as well as his many acclaimed performances of Italian works (Monteverdi, Rossi, Scarlatti, Landi), he broaches Purcell and Handel with as much success as Mozart, Haydn or Bach. William Christie’s particularly busy operatic career has been marked by numerous collaborations with renowned theater and opera directors (Jean-Marie Villégier, Robert Carsen, Alfredo Arias, Jorge Lavelli, Graham Vick, Adrian Noble, Andrei Serban, Luc Bondy, Deborah Warner), which are always major events in the musical calendar. His most recent include Atys at the Opéra Comique and New York’s Brooklyn Academy of Music in 2010, La Didone at the Théâtre de Caen and the Théâtre des Champs-Elysées in 2011–12, Charpentier’s David et Jonathas at the Festival d’Aix-en-Provence in 2012, and Rameau, Maître à Danser, which premièred in Caen before touring internationally, including performances at Moscow’s Bolshoi Theater. As a guest conductor, William Christie often appears at opera festivals such as Glyndebourne (notably Hippolyte et Aricie in the summer of 2013) or at opera houses such as the Metropolitan Opera of New York, the Zurich Opernhaus, or the Opéra National de Lyon. Between 2002 and 2007, he regularly appeared as a guest conductor with the Berlin Philharmonic. His extensive discography (more than 100 recordings, many of which have won awards and distinctions in France and abroad) with Harmonia Mundi, Warner Classics/Erato and Virgin Classics reflects the richness of his artistic ventures. His most recent recordings were released by The Arts Florissants Editions: Belshazzar and Music for Queen Caroline by Handel, as well as Le Jardin de Monsieur Rameau, which features the winners of Le Jardin des Voix 2013. Over the last twenty-five years, William Christie has brought to the limelight several generations of singers and instrumentalists. Indeed, most of the conductors of today’s French Baroque ensembles began their careers with Les Arts Florissants. A professor at the Paris Conservatoire from 1982 to 1995, he was in charge of the early music class, and is now often invited to give master classes or lead academies such as those at Aix-en-Provence and Ambronay. Since 2007 he has been artist in residence at the Juilliard School of New York, where he gives master classes twice a year accompanied by the musicians of Les Arts Florissants. Wishing to develop further his work as a teacher, in 2002 William Christie created, with Les Arts Florissants, a biennial academy for young singers in Caen, Le Jardin des Voix, whose winners, after touring with Les Arts Florissants in France, Europe, and the U.S., embark on distinguished international careers. Among the talents discovered by William Christie through the Jardin des Voix are Sonya Yoncheva, Christophe Dumaux, Emmanuelle de Negri, Marc Mauillon, and Amel Brahim-Djelloul. A true garden enthusiast, William Christie launched the festival Dans les Jardins de William Christie, which has taken place every August since 2012 in his gardens in the Vendée. The festival brings together Les Arts Florissants, William Christie’s pupils from the Juilliard School, and the winners of the Jardin des Voix for concerts and “musical promenades” in the gardens he created at Thiré, which have been labeled a “Jardin Remarquable” and listed on the French Supplementary Inventory of Historic Monuments. William Christie acquired French nationality in 1995. He is a Commandeur in both the Ordre de la Légion d’Honneur and the Ordre des Arts et des Lettres, and a Grand Officier in the Ordre National du Mérite. He is Docteur Honoris Causa of the State University of New York in Buffalo and of the Juilliard School. In November 2008, William Christie was elected to France’s Académie des Beaux-Arts, and gave his official inaugural speech under the dome of the Institut de France in January 2010. He has also received the Georges Pompidou Prize (2005) as well as the Liliane Bettencourt Choral Singing Prize, which was awarded by the Académie des Beaux-Arts in 2004.